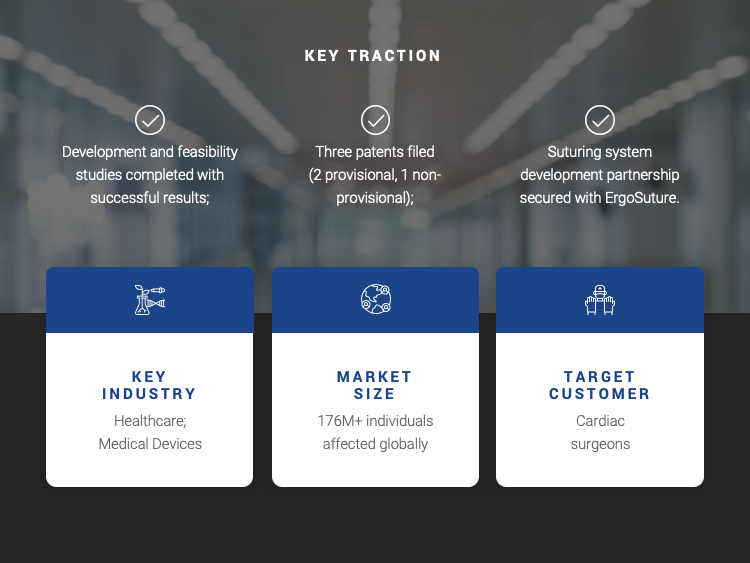 ValSculp is a biotechnology solutions provider focused on mitral valve regurgitation, a condition that impacts millions of people yet has few viable treatment options outside of risky and/or ineffective procedures. Our new proprietary transcatheter technology aims to replicate the benefits of status quo options while mitigating risk and other pain points. It takes the shape of an adjustable ring, anchored by minimally-invasive sutures, that can conform to any patient’s anatomy. 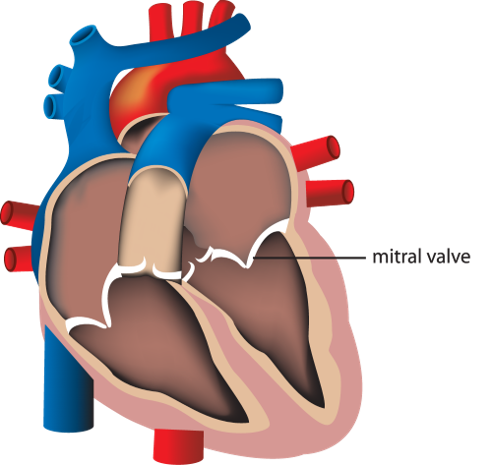 Mitral valve regurgitation (MR) is a backflow of blood that occurs when the heart’s mitral valve fails to close tightly - affecting roughly 2-3% of the global population. But of the 7.8 million Americans who suffer from it, only around 70,000 opt for mitral repair or replacement surgeries annually due to their inherent high risk. For everyone else, being forced to live with this potentially chronic condition. There’s still a lot of room for improvement, as these transcatheter repair solutions simply aren’t versatile enough to correct all parameters. It’s time for the next step that will make them truly similar to traditional surgical annuloplasty repair, while still keeping risk low. 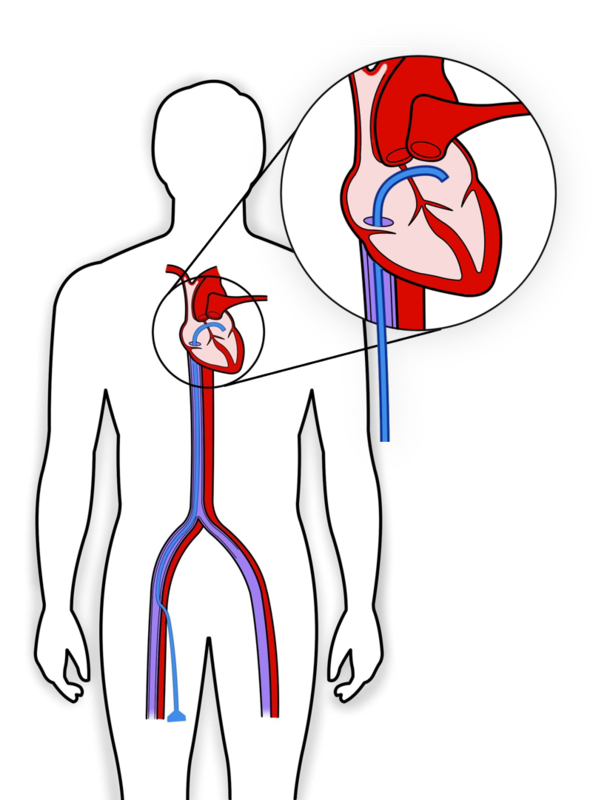 At ValSculp we believe patients benefit the most of interventional procedures. Our team specializes in developing advanced suturing systems, made specifically to be used via transcatheter, for the heart. Our current focus is on a transcatheter technology called SATAR (Segmentally Adjustable Transcatheter Annuloplasty Ring) that aims to replicate and optimize the benefits of a surgical annuloplasty. SATAR achieves this by delivering a ring composed of interconnected segments that can be inserted as a linear structure. 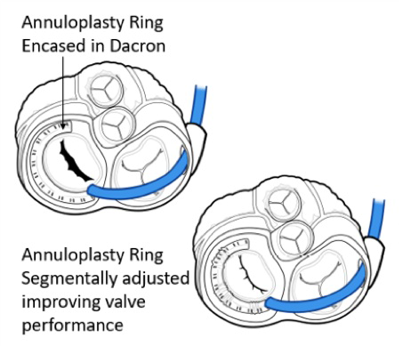 This design will allow adjustment of the annuloplasty ring configuration to optimize mitral valve leaflet coaptation. The annuloplasty implant is secured with transcatheter sutures - thus providing outcomes comparable to surgical rings while avoiding invasive anchors. 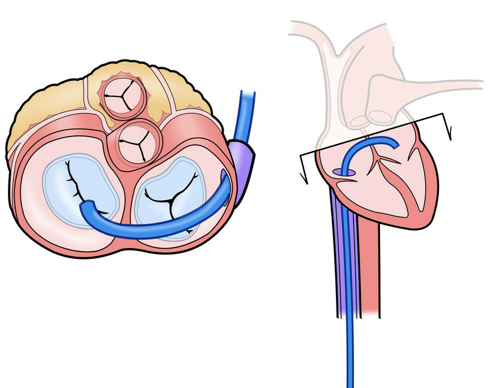 This transcatheter route also reduces and reshapes annulus dilatation to its native size and shape. To this end, SATAR will not only be as efficient as semi-rigid surgical rings - but also have the ability to address both mitral and tricuspid valve regurgitations. SATAR conceptual development completed in cooperation with Dr. Scorsin, a cardiac surgeon, serial entrepreneur, and mitral valve prosthetic developer with significant MR experience. Concluded positive feasibility studies supporting proof of concept and patent filing. Filed two provisional patents in 2018, and one non-provisional patent in January 2019 that contains 79 claims. Partnership secured with advanced suturing innovator ErgoSuture to develop our state-of-the-art suturing system. Added top cardiac surgeon Dr. Gonzalo Gonzalez-Stawinsky as a Scientific Advisor. For more information on ValSculp and what they have planned for the future, simply request access to the Business Plan portion of this Fundable profile! ValSculp was co-founded by Dr. Marcio Scorsin, an experienced cardiac surgeon and serial entrepreneur who specializes in mitral valve repair & replacement. Eric Halioua | CEO | Serial entrepreneur in biotechnology, med-tech, and diagnostics. Co-founder of 5 biotechnology and medical devices company. Raised more than 100 million over the course of his career and has had numerous successes in the sale and initial public offering of biotechnology companies. Luis Almodovar | CSO | Highly skilled neurosurgeon who was the inventor of the ErgoSuture technology platform and SATAR. Claude Nogard | Strategic thinker with the full scope of marketing experience in the industry - including product development, launch, and management.